In the past 20 years the Paralympic Games has experienced rapid growth as athlete numbers have increased from 3,259 in 1996 to 4,328 in 20161. Since London hosted the Paralympic Games in 2012, the public awareness of the Paralympic Games has increased and there is now an acknowledgement that its participants are world class, elite competitors2. Such growth has resulted in greater media coverage of elite para-sport, higher media profiles of the athletes, alongside increasing demands to perform on the big occasion from funding providers. 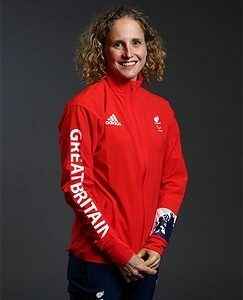 Despite the increasing demands on the para-athletes, there continue to be allegations in the media, from top Paralympians, claiming their National Governing Bodies are treating them as second-class citizens to their Olympic counterparts in the provision of training opportunities, facilities and support. This blog is about the unique issues experienced by elite para-athletes as a result of their relationship and interaction with the sporting organizations within which they operate. It is envisioned that through raising this awareness, sports organisations will adopt suitable stress management interventions to promote wellbeing and enhanced performance of elite para-athletes. When we consider stress in sport, we normally associate it with pre-competition nerves about performance. However, research has shown that elite athletes experience and recall more demands associated directly with their sporting organization than with competitive performance3. These are known as organizational stressors and are linked with negative emotions, undesirable behaviours, dissatisfaction, overtraining, poor psychological health, low wellbeing, burnout and underperformance4. A respected psychological theory of stress, the meta-model of stress, proposes that stressors arise from a transactional relationship between an individual and the environment in which they operate. Stressors are reconciled by the individual’s assessment of the demand on them and their coping abilities. This is an ongoing process, moderated by personal and situational characteristics because individuals respond to stressors in different ways5. Organisational stress has been defined as “an ongoing transaction between an individual and the environmental demands associated primarily and directly with the organization within which they are operating”5. In a sporting context, this is a dynamic relationship between the athlete and the sport organization’s environment, whereby an athlete may evaluate an organizational-related event alongside their coping abilities. The sport organisation’s structure and culture will influence their assessment5. However, it is important to recognize that elite para-athletes are working within numerous organizations at various levels, such as the International Paralympic Committee (IPC), International Sport Federations, National Paralympic Associations, National Sport Federations and specific sports teams, which increases the sources of organizational stressors and tensions they may have to deal with. Performance and personnel issues – injuries, finances, career transitions. Understanding organisational stressors unique to elite para-athletes is imperative because of the potential they have to disrupt athletic performance and impair elite para-athletes’ wellbeing. How different are elite para-athletes to elite able-bodied athletes? Researchers have raised the question whether elite para-athletes are actually any different from their able-bodied counterparts, in terms of their athletic needs and experiences. Characteristics of Olympic and Paralympic athletes have been found to be alike as they share similar reasons for competing in elite sport, the necessary mental approach and athletic identity7. Research looking specifically at the organisational stressors for elite para-athletes found numerous demands similar to elite able-bodied athletes in relation to incompatible coaching styles, unfair selection processes, structuring of events at competitions and expectations to win a medal8. However, research has also found significant differences in the way that male and female athletes respond to organisational stressors, as well as differences between team and individual-based athletes and between athletes competing at different competitive standards9. Therefore it is likely that elite para-athletes experience organisational stressors unique to them. Below are five specific organisational stressors, which have been identified in research as unique to elite para-athletes8. Disability classification is an inherent aspect of disability sport, whereby athletes are assessed on how their impairments limit their ability to perform a specific sport. Athletes are grouped into categories for competition in an attempt to create a fair and equal playing field10. This is similar to grouping athletes into weight categories in boxing. Para-athletes have reported a number of stressors arising from the classification system and the classification process. The classification system can change, which creates uncertainty for athletes. For example, para triathlon is a new, developing Paralympic sport, which, in the past eight years, has seen three different classification systems. These changes have been implemented as the international sport federation has sought to comply with the IPC’s classification code as well as create a fair, evidence-based system, which promotes equitable competition. Athletes are not just faced with the stress from such uncertainty but national funding bodies are reluctant to fully support athletes when classification categories are unknown, which adds financial stress for the athletes. Athletes perceive the diversity of impairments in some categories to be too great and so unfair to those with more severe impairments. Athletes can also become de-classified, whereby they are no longer eligible to compete in para-sport. The process of classification can create demands on athletes if it is carried out too close to competition, creating additional fatigue. Some athletes have reported being subjected to degrading tests during the process, whilst others feel they are not believed when they say they cannot perform a certain movement because of their impairment8. Recently there have been a number of allegations in the media of athletes being wrongly classified, potentially causing additional emotional responses from athletes as a result of this environmental factor. Therefore there is a need for the IPC, National Paralympic Committees and disability sport governing bodies to work with athletes to reduce the organisational stressors placed on them as a result of classification systems and for para-athletes to be appropriately supported to cope with the demands. Research has highlighted that the majority of coaches to elite para-athletes have little to no disability sport specific training or personal participation before working with para-athletes. This has been highlighted as an area of stress, negatively impacting on performance and the sport experience of para-athletes7. The coach-athlete relationship and communication is of paramount importance for a successful partnership. Whilst coach education is fundamental to coach development, coaches generally do not receive much disability-specific training. That which is provided is separate from ‘mainstream’ coach education and often very brief. Consequently coaches acquire disability-coaching knowledge informally and quite often ‘on-the-job’11. Therefore, to enhance the coach-para-athlete relationship, provide optimal and appropriate coaching to para-athletes and reduce the demands it can impose on para-athletes, disability sport governing bodies should create disability-coaching pathways with disability-specific coach education programmes. Whilst some elite athletes have reported competing in front of large crowds as a stressor, para-athletes have the challenge of competing in empty stadiums. Running, swimming or cycling in a major championship in an empty venue reduces the impact of the ‘big occasion’ and results in a lack of atmosphere for the athletes8. The Paralympic Games in London in 2012 sold 2.7 million tickets with most events and sessions selling out12. However, five years later, the World Para Athletics Championships were held in London and only 25% of the available tickets were sold, compared to sell-out crowds watching the World Athletics Championships, also held in London, two weeks later. This was, however, regarded as a success; in 2015 the same championships were held in Doha where only 15,000 tickets were sold in total. The 230,000 tickets sold in London for the World Para Athletics Championships represented more tickets sold than in all eight of the previous championships combined. Such was the increase in the number of spectators in London, top para-athletes worldwide have called for the 2019 World Para Athletics Championships also to be held in London so that they can perform in front of crowds again. Consequently when Local Organising Committees are awarded a major championship, ideally its ability to generate spectator interest should also be considered. However, this will be difficult given the high costs to countries of hosting such events and the challenge of finding nations who are prepared to host para championships across all sports13. To compete in disability sport, disability specific equipment is often required, such as racing wheelchairs, hand cycles, tandem bicycles, sport-specific prosthetic limbs, such as running blades. Alternatively modifications are required to standard equipment for para-athletes to participate in their chosen sport. Such bespoke equipment is charged at a premium, particularly for elite para-athletes, where cutting edge technology is a necessity to be competitive against the best in the world. In research involving elite male wheelchair basketball players, the players cited lack of finance for their sport specific wheelchairs as one of the most significant sources of stress14. Competition and training facilities that are perceived to be “disability unfriendly” are a significant organisational stressor for para-athletes8. Even where there may be elevators and ramps to enhance accessibility, these may not always be fit for purpose. For example, in the Paralympic village in Rio de Janeiro in 2016, athletes were accommodated in 17-storey tower blocks with just two elevators, which could only fit two wheelchairs at one time. Queues for lifts could be extensive at busy times, particularly when athletes were travelling to competition. Even if an athlete could physically use the stairs, having to walk down over ten flights of stairs is far from ideal competition preparation. Therefore, whilst the accommodation was theoretically accessible, in practice it was limited and caused additional pre-competition stress to the para-athletes. Whilst removing organisational stressors may appear to be the most desirable option for stress management, this is unrealistic. It is not possible to remove all organisational stress from athletes’ lives. Some organisational demands, such as classification, are an inherent and unavoidable aspect of disability sport. However, much can be done to minimise the consequences and overall outcomes of organisational stressors at both an organisation and individual level. Through a combination of proactive and reactive strategies, para-athletes can acquire the necessary psychological skills to manage and cope with any demands not eliminated15. These involve a proactive and preventative approach through reducing or removing as much organisational stress as possible through the management of the organisational environment. This is particularly effective if a particular organisational stressor is pervasive. Such changes can be made at a macro level, such as rule changes, organisational restructuring, and cultural changes. At a micro level this can be achieved with alterations to training and competition environments and coaches providing disability-specific training sessions15. For example, a sport governing body responsible for both able-bodied and para elite athletes could ensure that training facilities and resources are shared equally and fairly between the two groups of athletes, rather than para-athletes having to make do with times and facilities not used by their able-bodied counterparts. This is a proactive approach to modify the individual para-athletes’ reactions and responses to organisational stressors rather than modifying the organisational environment. Interventions could involve stress management training, sharing of information and contingency planning through the development of a range of “What if?” scenarios15. For example, if a sport governing body perform a reconnaissance of a competition venue, information about the accommodation, logistics and competition venue should be shared with para-athletes to enable them to prepare fully and avoid issues arising once athletes arrive at the competition venue. Athletes will be able to cope better with issues if they have been able to prepare in advance, rather than having to confront them suddenly once in the environment. This is a reactive approach whereby strategies are developed to minimise the negative consequences of organisational stress by helping para-athletes cope more effectively and to lessen the impact on the para-athletes’ wellbeing and performance15. For example, if a para-athlete has had a change of classification at a major championship, counselling could be provided to help the para-athlete come to terms with the situation and still perform to their best. A tripartite, holistic approach to organisational stress management provides a methodical structure than can aid practitioners in optimising para-athletes’ wellbeing and performance. However, sport organisations and event organisers should acknowledge their own role in the organisational stressors experienced by para-athletes. Strategies should also encourage the involvement of para-athletes in the stress management process, which will promote greater para-athlete control over the organisational environment5. In summary, the organisational environment imposes numerous demands on para-athletes on many levels, which para-athletes consider to be significant and meaningful. Through highlighting a few organisational stressors, which are unique to para-athletes, it is intended that sport organisations and practitioners will gain a greater awareness of sources of organisational stress on para-athletes. Along with the suggested tripartite approach to managing organisational stress, practitioners will be more able to develop appropriate and tailored stress management interventions for para-athletes with the aim of optimising their overall wellbeing and sporting performance. 2 Kenttä, G., & Corban, R. (2014). Psychology within the Paralympic Context-Same, Same or Any Different? Olympic Coach, 25(3), 15-25. 3 Hanton, S., Fletcher, D., & Coughlan, G. (2005). Stress in elite sport performers: A comparative study of competitive and organizational stressors. Journal of sports sciences, 23(10), 1129-1141. 4 Arnold, R., Fletcher, D., & Daniels, K. (2017). Organisational stressors, coping, and outcomes in competitive sport. Journal of sports sciences, 35(7), 694-703. (pp. 321-373). Hauppauge, NY: Nova Science. 6 Arnold, R., & Fletcher, D. (2012). A research synthesis and taxonomic classification of the organizational stressors encountered by sport performers. Journal of sport and exercise psychology, 34(3), 397-429. 7 Dieffenbach, K. D., & Statler, T. A. (2012). More similar than different: The psychological environment of Paralympic sport. Journal of sport psychology in action, 3(2), 109-118. 8 Arnold, R., Wagstaff, C. R., Steadman, L., & Pratt, Y. (2017). The organisational stressors encountered by athletes with a disability. Journal of sports sciences, 35(12), 1187-1196. 9 Arnold, R., Fletcher, D., & Daniels, K. (2016). Demographic differences in sport performers’ experiences of organizational stressors. Scandinavian journal of medicine & science in sports, 26(3), 348-358. 11 Townsend, R. C., Cushion, C. J., & Smith, B. (2017). A social relational analysis of an impairment-specific mode of disability coach education. Qualitative Research in Sport, Exercise and Health, 1-16. 14 Campbell, E., & Jones, G. (2002). Sources of stress experienced by elite male wheelchair basketball players. Adapted Physical Activity Quarterly, 19(1), 82-99. 15 Fletcher, D., & Arnold, R. (2017). Stress in sport: The role of the organizational environment. In C. R. D. Wagstaff (Ed. ), An organizational psychology of sport: Key issues and practical applications (pp. 83-100). London: Routledge. Clare Cunningham is a three time Paralympian, currently studying for an MSc in Sport and Exercise Psychology at Loughborough University. Clare is currently working with the Loughborough University Women's 1 Tennis Team and has worked as an athlete mentor on projects and workshops with the EIS.